Migraine Monologues: What Does A Migraine Feel Like? One of the most frustrating aspects of living with migraine is that no one else can see it. I've attempted to dramatize a migraine in my Introduction page, mainly to evoke and hook in readers. But over the years I’ve so often wished that my leg would turn green and fall off during a migraine, not because I crave sympathy, but because then I wouldn’t be thought a neurotic hypochondriac. It would also solve the problem that Virgina Woolf, a migraineur, rather eloquently points out: that describing one's pain and illness is an impossible task. But it is one I nevertheless set an array of migraine and headache sufferers. I asked them to tell me what their migraines felt like. Their responses reveal not only what an individual and varied condition this is – but what a very real one it is. Even if no legs turn green and fall off. I think Virgina Woolf would be most impressed. Mandi Howard, aged 45, Hemicrania Continua, New Daily Persistent Headache and Chronic Migraine sufferer since July 2010. Fran, aged 28, aka Skulls and Ponies, very bravely taped herself on the verge of a migraine and described not only how it feels but how she treats attacks. 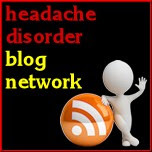 Check out her blog for other useful migraine posts. Fran has suffered with migraines for 8 years. 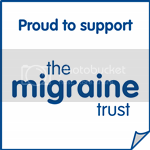 Migraine Movie from Fran Swaine on Vimeo. They began out of no-where when I was around 17 as a once a week, want to blow your head off with a shot gun, puking everywhere, kind of deal. Then they transformed into something less severe but more common, eventually becoming something I had to feel every single day. Imagine those little toy wind up monkeys that bang symbols together. Imagine that sound from the moment you wake up every day of your life, to the moment you go back to sleep. I don't really get sensitive to light anymore and I'm fairly strong now so I still try to get on with my life but the one thing you can't avoid when out is babies and little kids screaming and crying, it makes me think my head might actually blow up, especially if I can't escape like when I'm waiting to see the doctor, it's unbearable. In my last job a colleague thought it was funny to hit his keys on my desk every time he went past thinking it wound me up, I tried to tell him it wasn't winding me up - it was hurting me, but it didn't seem to make a difference to him. I think it's high-pitched sounds I really, really can't cope with. Occipital Neuralgia feels like something has the nerve near the base of my neck and is slowly twisting it as tightly as possible through a mangle which has tiny nails all over it, and makes you feel like both sides of your head are caving in very slowly and your eyes are being pushed together! Trimeginal Neuralgia, for me, varies. On a low pain day I just get a constant feeling of a dull pain on the left side of my face and it’s the whole left side, teeth, ear, cheek and eye. But on a high pain day, it’s like someone has sewn a long icicle into my cheek that wont melt and just gets colder and colder and more painful and the stress it causes makes me chew the inside of my mouth so I have holes inside my cheek that are also sore. With my migraines, I feel I have two. The first one goes right across my forehead like a skin tightening feeling, and it feels rock hard and this is the only migraine I get where I feel very sick and do actually throw up. Blinking and any movements of my eyes hurt and makes the pain worse. The only thing I can do is sleep to not make it worse. My second migraine, my big migraine if you like, only appears on the right hand side and sometimes where the pain is so bad parts of my head, the size of a small tomato, swell up and a lump will appear and I am unable to lift my head off my pillow and feel very dizzy. My head feels 100 times heavier than what it is, but the pain I can't quite put my finger on. It can feel like very sore pins n needles and that I have taken a large whack to the head several times. Almost like a concussion! Mel Browning, aged 40, Occipital Neuralgia for 3 years, Migraine and Trigeminal Neuralgia since February 2012. Basilar Migraine sufferer for 5 years. During a migraine I feel very drained and tired and all I can think about is lying down and trying to sleep. My head feels really heavy and my neck can no longer support it so if I’m not lying down, I am normally leaning my head against anything handy - walls, desks, tables, lamp posts etc. It feels like my brain is expanding, there is so much pressure on my skull. I find it hard to have my eyes open, they feel dry, my eye sockets hurt and bright lights feel painful. My brain stops making connections. I feel stupid and slow and find it tiring to talk. I feel completely spaced out and it feels like things are happening around me but I’m not really part of the real world. I am very sensitive to noise and smell and can often feel dizzy and nauseous. My whole body feels very sensitive and achey, similar to when you have the flu. I often have freezing cold hands and feet but a really hot head so ice packs and hot water bottles are simultaneously used. The only thing I can do when I have a migraine is hide away from all stimuli and lie down in a dark room away from sound, light and distraction and just wait it for it to pass. Sometimes I can sleep, but sometimes I just lie there in a zoned out state for hours. When I’m recovering from a migraine I feel like I’ve been hit by a bus and feel completely bruised and battered and very drained and tired. Owen, aged 35, Migraine with Aura for 6 years. Thank you so much to the lovely, brave migraineurs who shared their incredible stories and descriptions. Next time you meet someone who tells you they suffer with migraine, why don’t you ask them what it feels like? A migraine is usually made up of 4 phases: Prodrome/Premonitory phase, Aura, Headache and then Postrdome. This is why my task of asking for a simple description of a migraine was a tricky one! Not all migraineurs suffer from each phase - but recognising and understanding them can be crucial in managing migraine. Coming Up: Next I asked these same migraineurs to show me what a migraine LOOKS like…a brave few took pictures….this time I joined in! Wow - it's interesting to hear other people's stories. I focused purely on the headache part of my migraine but the other phases are just insane. Perhaps more manageable - although after an awful migraine I'd say the postdromal phase is the worst. It's exhausting and you are constantly on the verge of getting another migraine. You feel like you want to wrap yourself in cotton wool! Thank you so much for putting these together! It's reassuring to know I'm not crazy, but I feel so bad for those who suffer. It's ironic how alone I feel when experiencing a migraine, yet I know there are millions who feel the same misery. To all, I pray for relief from and understanding of such a debilitating illness. Great blog and collation of experiences. They perfectly display that the experience of migraine is really so individual and varied. Some migraines can pass in hours, others last for days, if not a week, some just roll on back to back continuously. But the one common thread throughout all the experiences is that they are incredibly debilitating. I've only ever experienced a few migraines in my life. The first one when I was 17. I was replacing a lightbulb and hadn't switched off the lamp at the mains, as I put the bulb in the flash of light suddenly coming on triggered a severe pain behind my eyes. What ensued over the next two days was the single worst pain I've ever felt, like my head was being crushed. My eyes wouldn't focus, I was vomiting continually. A doctor had to be called and I was given an injection in my bum(!) which worked almost immediately this was followed by some foul tasting powder I had drink over the next few months to stop the migraine reoccuring. When I was at uni in my final year, I began getting zig zag shaped "aura" and the migraines began again. It sounds weird but I also used to get a "shrinking" feeling. Hard to explain but a bit like Alice in Wonderland after she drank the shrinking potion!! A feeling of shrinking then expanding. Safe to say I thought I was going crackers! I haven't had a true migraine for several years now and the doctor feels I've simply "grown out of them" That's fine by me. Such a debilitating illness. I get it where it feels like my skull is expanding and it often hurts deeply in between my eyes or in the eyes themselves. I often feel dizzy or disoriented during this and sometimes get a stiff neck as well. I have also had tension headaches. When I get the expanding feeling wearing a bicycle helmet tightly helps relieve the pressure feeling, though I'm sure I look silly in my pjs and a bike helmet, its worth it. Hi all... its horrible....my pain starts very slowly.. it was a worm and heavy feeling in my head and neck joint... then its moving around.. from staring point to full head suddenly itz strikes more heavy and hot flush in head.. between two eyes. Itz worse.. and i feel like someone striking a nail in my eyes chicks and teeth... its worsen and worsen...until i tried cefaly headband. its really works a lot. My throbbing headache are gone. i feel relaxed and suggested it for other migraine suffer. (2) My skull is in a vice - this is generally the more "mild" type where I can still do things, it just feels awful. I have issues with a lot of medication and get "rebound" migraines when I'm on something. I can sometimes stop them with Advil gel caps (since I normally feel them coming on) but since I get several in a row, this only works for the first few. Also, since there are liver issues in my family, I don't like taking medication. If I don't "catch" a migraine before it gets worse, I get the usual light/noise sensitivity, exhaustion, dizziness, and nausea that many people mention - I also get a sort of numb pain down my arm. Thank you for setting this blog up and giving us a space to share symptoms. It often feels like I'm losing my mind when they get bad.